What could be more pleasant than relaxing holiday with your family and relatives? Comfortable rest is good for your health and your family and it gives you positive energy. Our holiday village tend leaves only pleasant memories in a peaceful environment. 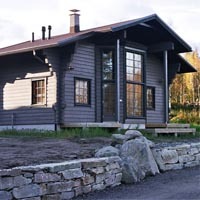 Finland is an amazing country where the spirit of the historical past combines with a modern life. It is very important to find a perfect place to rest during your holiday. 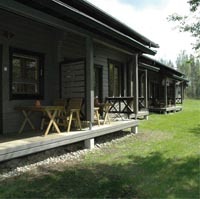 We can offer you an excellent alternative to hotels; our wonderful cottages close to the nature. 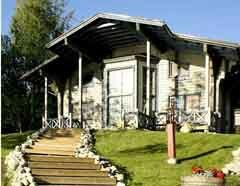 Our cottages are situated in picturesque area of Tahkovuori in Finland whose beauty takes your breath away. Constructed in 2004. The area is 60 sq. m, 1,5 levels. For a 2 + 3 person. 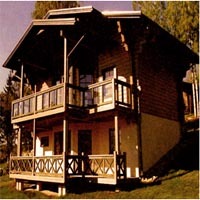 On the ground floor there is a bedroom with a double bed and on the loft three single beds.